For homeowners looking to sell their property, striking the correct balance between investing in improvements and what the returns will be can be difficult. If you have property on the market currently, you may be limited on what renovations you can realistically get done to add value for potential buyers. For homeowners who haven’t yet put the house up for sale but are looking at ways to increase the property value, it could be worth investing real money to get higher returns when it comes time to sell. The first viewing of any property is from the kerbside when they pull up to view the home. It is crucial to ensure that the house has a fresh coat of paint and all the facias and guttering is clean. The cost for painting is minimal in comparison to the potential increase in price you can add, whether done by a professional or DIY, the financial gains are significant. Keeping any lawns, pathways and driveways in good clean condition is also a must for those looking to sell. It is estimated that first impressions can add 5% in value to a home. It is often said that the heart of a home is in the kitchen, this is doubly true when you have potential customers viewing your property. Kitchens can be expensive to replace though, so even fitting new cupboard and drawer doors and handles can make a big difference. If your kitchen is past its best, you can always look to get a refinanced loan to cover the cost until you sell. Fortunately, there are many useful tools and calculators that can help you estimate the amount of money needed to carry out the necessary mods. Doing your loan research online is now easier than ever thanks to numerous lenders and brokers that have adopted the internet as their place of business. Any minor refurb work done in the kitchen will increase the appeal and value of your home, new splashbacks, some painting and perhaps a new floor are easy to complete and won’t cost the earth. Another area where you may want to seek finance to refurbish is the bathroom. If you need to throw out old shower units, sinks, toilets and shower trays the cost will mount up. 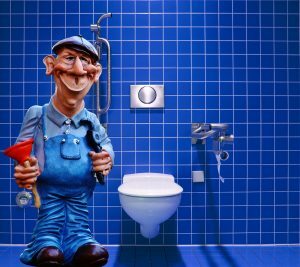 If your home needs a new bathroom, we advise calling in the professionals, as mistakes can be costly. Should your budget be tight, you can always look to reinvigorate tired tiles by re-grouting and replacing chipped or broken tiles. Simple touches like a new shower curtain, tap fitting or toilet seat are inexpensive but still add value for customers. After the kitchen, the bathroom is the most critical area deserving of your decorating attention. A typical issue in older properties is they often have dark spaces or rooms. Modern buildings tend to be more open plan, and a great deal of thought goes into the lighting and aspects of the building. If your home has areas where the sun can’t reach, then investigate knocking a wall down or adding a window to brighten the space. In many cases, prospective buyers are looking for open plan kitchen/dining areas so this will ultimately increase your home value considerably. If your budget doesn’t allow for significant work, look into adding LED lighting to eliminate dark and dank areas. For homes in a mild climate, having a useable outside space is crucial for families as an additional living area. If you don’t have a deck or patio to sit in the summertime, you should look to create one. The area outside is for when the family’s like to eat, drink and play in the sun so should be safe, have a grill or BBQ and a shaded area to sit. Decking can be bought inexpensively and will boost the value of your home instantly. For large investments like swimming pools or hot tubs, they should only be installed if you will use them as the additional value on the house will be taken up by what you spent to install. By carrying out regular maintenance on your home, you will eliminate the need for substantial refurbishment investment except for bathrooms and kitchens. Simple painting jobs can be done in a few hours at little cost and keeping on top of small jobs will pay dividends. Be proactive in sorting out any minor issues like squeaky doors or loose carpet – basically, if you notice it, a buyer will also, and this will need doing. Setting out a budget and savings plan for maintenance and refurb work will help you keep on top of jobs that need attention. Having money set aside to cover any work that needs to be carried out will also relieve any stress. The essential factor to bear in mind is that you do not need to spend vast sums of money to improve your home’s value but being careful where you spend money and time can gain you thousands when you come to sell.